Evercool reveals the Transformer S, a new budget processor cooler with two direct-touch 8mm heatpipes, aluminium fins and a 120mm fan. 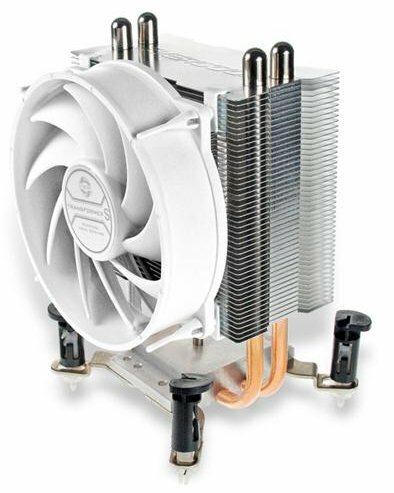 Dual heat pipes and HDT technology provide effective cooling. The specially designed fins allow smooth air convection. 9cm fan with unique fan blade design for silent operation. Its 13.5cm height fits in most of ATX cases. Easy installation. Its great compatibility makes it suitable for most of the CPUs. Support Intel (including LGA 2011) and AMD.